My sewing machine is in for a much needed service at the moment. So I thought I would use this opportunity to watch some of the awesome Creativebug videos on their website. The Physics of Sewing video caught my attention as I had no idea how the ideas of physics and sewing would come together (I really don’t have a science brain!). The main ideas within the video covered some old wives tales and the truth behind them, especially in the world of hand sewing. If you have ever had to stitch up a hole by hand or sew on a button some of the old wives tales might just make you think about how you do it next time. 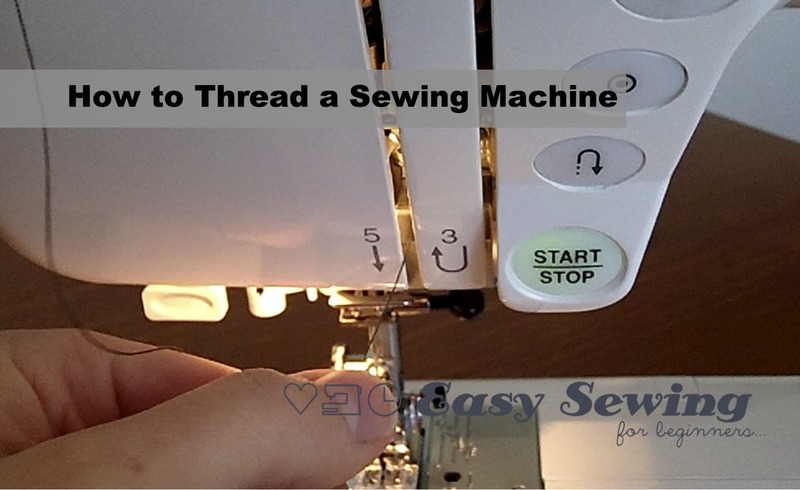 The idea behind loving your thread is all about removing the excess tension from your thread before you begin hand sewing. If you have hand sewn before or done embroidery, you know that having those threads twisting and KNOTTING while you are sewing can almost make your blood boil. Gahhh! not fun. Natalie explains how the thread has excess tension left in it through the process of putting the thread onto the spool. She suggests to remove that tension by threading your needle as normal, but then running your fingers down the thread multiple times to remove the excess tension. So where does the loving bit come it? She also suggests to talk to your thread. Yes, talk to it. It’s almost like when a coach gives his (or her) players a pep talk before a big game. Tell the thread how well it’s going to sew, what a great job it’s going to do holding that button on or holding that fabric together, all while you keep running your fingers down the thread to remove the tension. I did find that bit funny, but I might just give it a go. Who knows, it could help! Did She Just Say 8 Weeks to Sew One Garment?? The other old wives tales that she talks about are pretty interesting too, but I must admit there was something else she said that caught my attention. It was when Natalie said it takes one of their garment makers 8 weeks to sew a garment! Yep, 8 weeks. This made me wonder just exactly what kinds of garments were they making and how much would they be selling these garments for. I’d never heard of the company before, but with a bit of Googling I found it. My jaw hit the floor when I saw how much some of the garments sell for. You can check out the shop for yourself. The clothing does have a very vintage style to it and it does look extremely well made. Is Alabama Chanin a well known company in the US? I’m thinking I’d never heard of it before because I live in Australia. Have you heard of the company before? Let me know. This video is available on the Creativebug website. You can buy the video for $11.95 or you can watch it for free with the 14 day free trial*. I initially signed up with the free trial and now I’m subscribed for the next year or so. I love it and the next video on my ‘to watch’ list is Learn Raw Edge Applique*. Just need my sewing machine back as well now…. You know the times when you just hear about something or someone and then they start popping up everywhere? Well, Natalie was recently a guest on the Thread Cult podcast. You can listen to it here. The quality is a bit poor (I’d recommend listening to it with earbuds) but it’s really interesting to hear the story behind the person and the company so I would recommend it if you want to know more. *This post contains affiliate links and I thank you if you choose to make a purchase through one of my links. It helps me to spend more time creating.